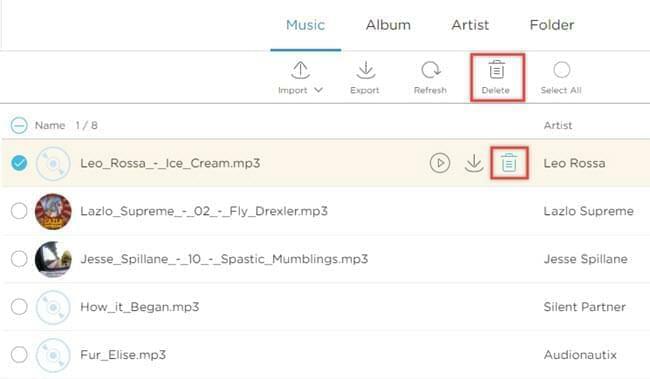 AirMore can not only help you to transfer music between mobile device and PC in a fast way, but also allow you to manage all the songs of your device on the web. Now let’s see how to use AirMore “Music” function. Click the “Music” icon on the left side of AirMore Web. Select the songs you’d like to transfer. Click the “Export” button on top. Click “Import” button and select “Import Files” or “Import Folder”. Choose the songs to transfer. 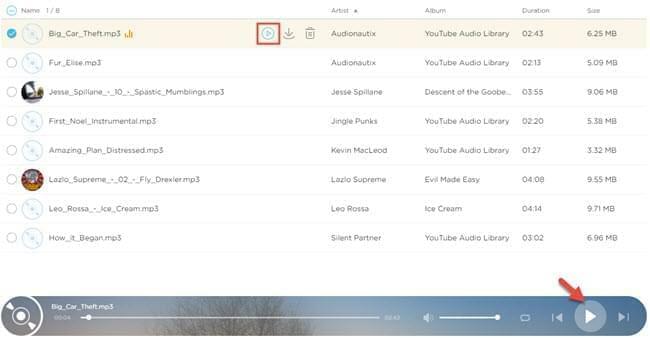 An easier way is to directly drag the songs into the browser. Click “Delete” button on top. If you want to delete a single song, just click the “Delete” icon behind the song’s name. Change playing mode: repeat all, repeat song, or shuffle. On AirMore Web, you can see the songs’ detailed information, including name, artist, album name, album cover, duration and size. 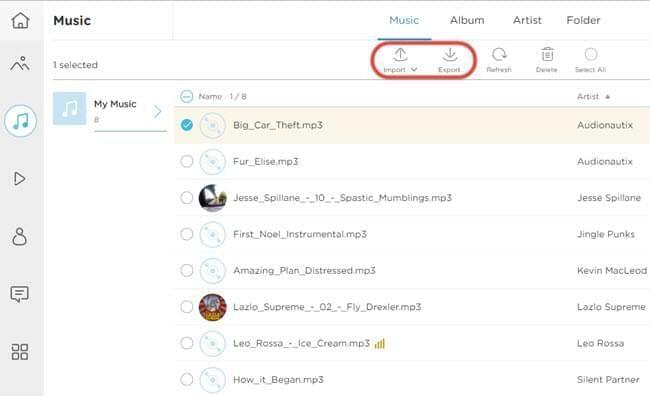 You may click the icons at the top to change the way of accessing music files. To search for one song among numerous songs is like to look for a needle in a haystack. But don’t worry. You only need to type in some information into the search box, which is on the right corner of the web AirMore interface, the relative songs will show up rapidly. After reading the above introduction, you can see that AirMore “Music” feature is really great. You may try it by yourself! Besides, if you want to set a song as your phone ringtone, you can use Phone Manager (also called ApowerManager) under the “Tools” tab on the home page of AirMore web. Or if you want to record audios and transfer them into your phone, Audio Recorder tool is a nice choice.